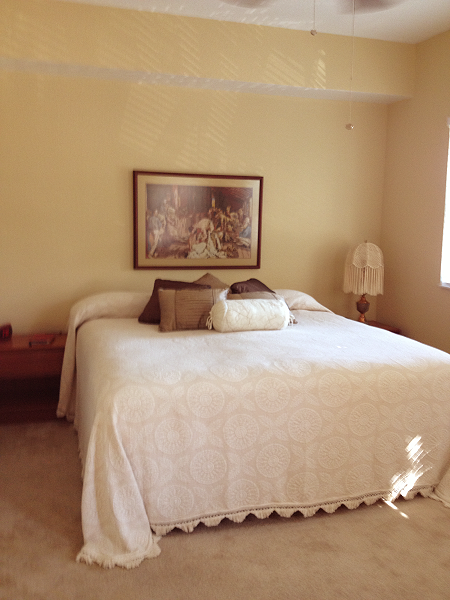 A beautiful bedroom created by a surprisingly simple paint color. 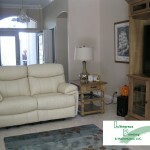 We wanted to let you know that we were very pleased with the interior painting project and Peter’s attention to detail. This job was a bit challenging due to the sections of wallpaper that needed removed and the size of the project – painting of all interior living areas. Peter also painted all the trim, doors, and crown molding. He is very conscientious and receptive to all questions and priority requests. 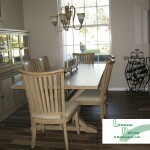 We highly recommend Peter for any painting project and we will contact you first for future needs. 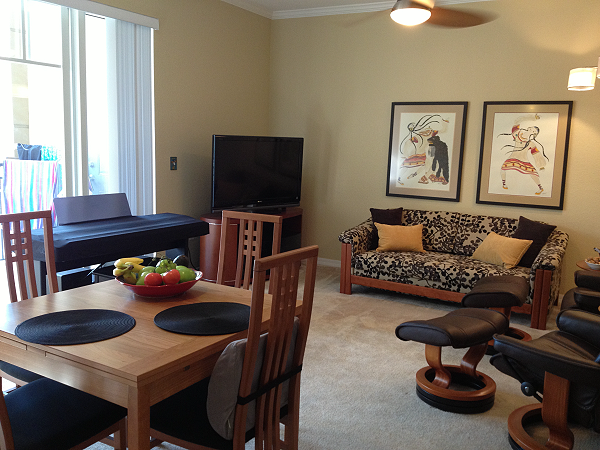 Created a space the whole family will love by using an inviting color for this family room. 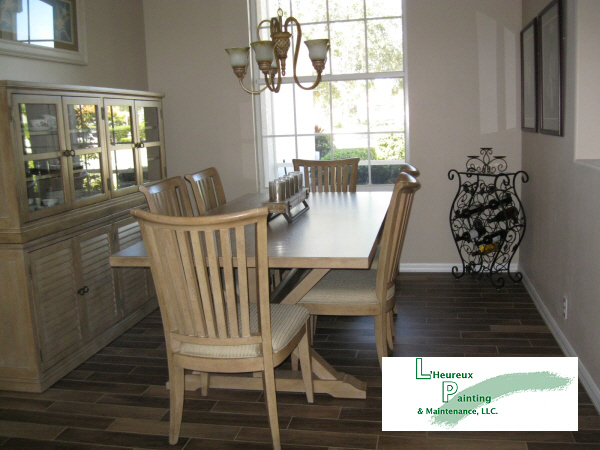 A traditional color to deliver a great atmosphere for this dining room. 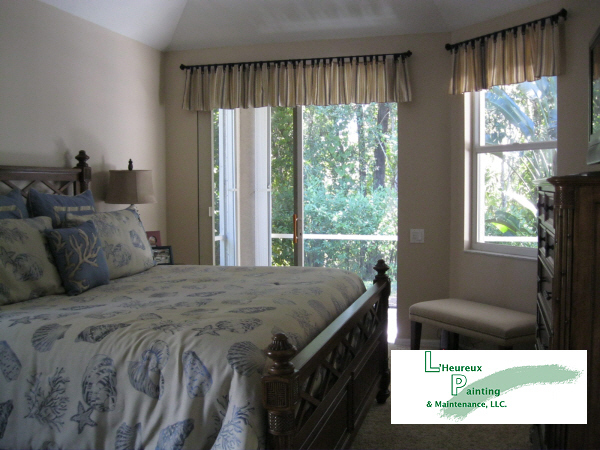 This wonderful bedroom was freshened up with new paint by L’Heureux Painting & Maintenance, LLC. 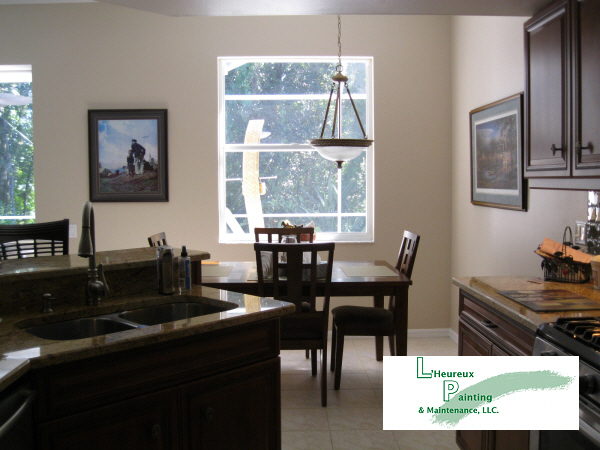 Beautiful kitchen area painted by L’Heureux Painting & Maintenance, LLC. 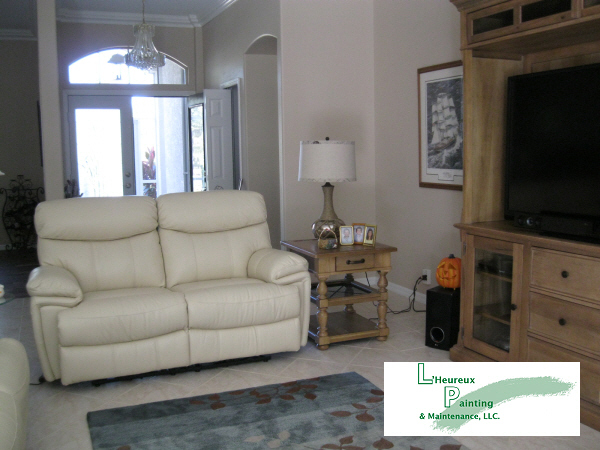 This stunning family room was painted by L’Heureux Painting & Maintenance, LLC. 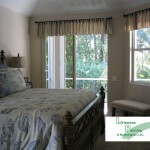 This beautiful bedroom room was painted by L’Heureux Painting & Maintenance, LLC. 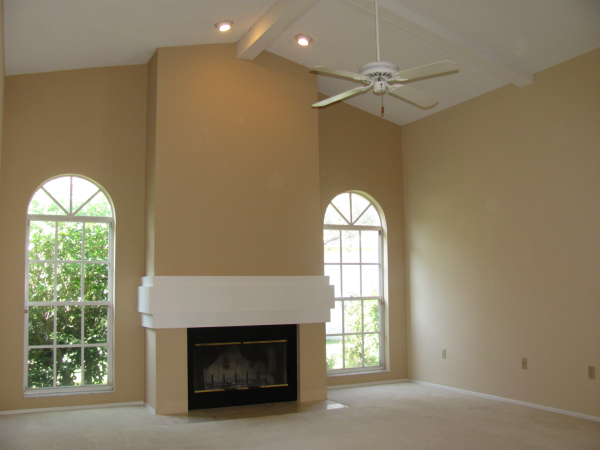 This beautiful great room was painted by L’Heureux Painting & Maintenance, LLC. 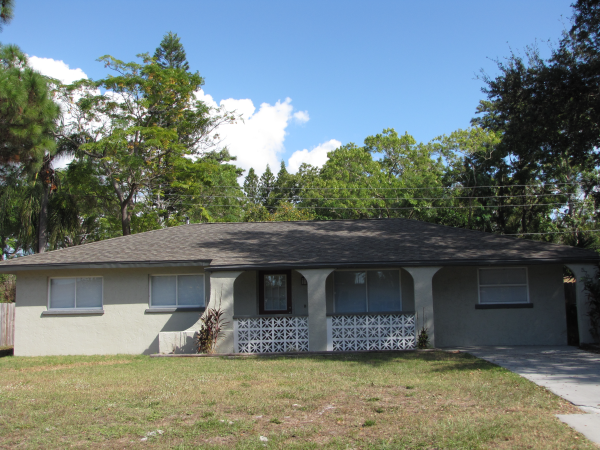 My name is Pam DeSena – I was responsible for getting my daughter’s place in Bradenton, Fl. ready to rent. I thought that I would have to hire all the contractors to do the work that needed to be done and that’s how I started. I was given Peter’s name by a fellow associate (at work) for painting. 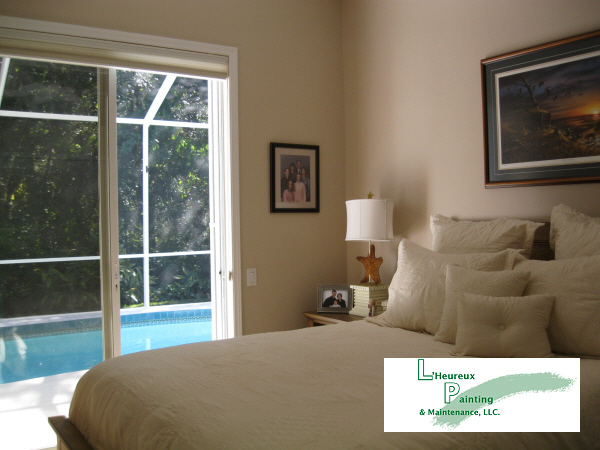 Fortunately for me, Peter was able to provide all the additional contractor’s needed to complete the entire project. His resource contact list was extensive and he handled all the appointments (plus criticisms) that helped me complete my daughter’s project. I used his tile guy (who incidentally did a fantastic job) & Peter coordinated all the other work that needed to be completed, such as electrical, plumbing, windows, shower door installation, trash haul away & yard clean up. In summary – Peter was a god send, I can’t begin to tell you how much time & energy he saved me. The house is rent ready! I would truly recommend Peter for any project that you might have.